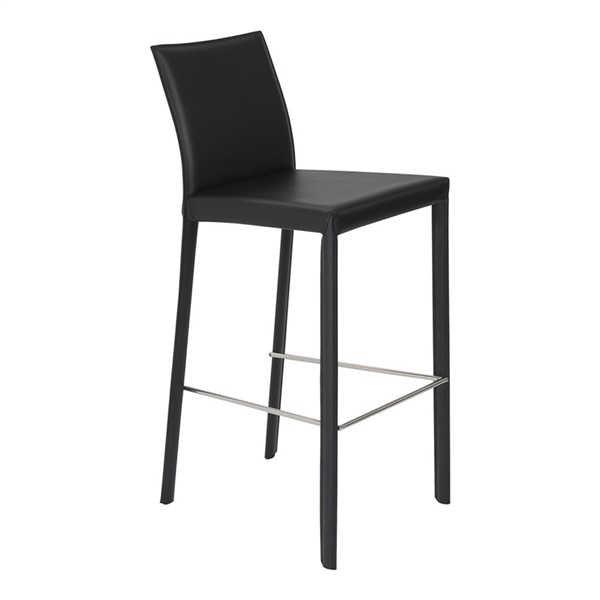 The sleek and sophisticated design of the Hasina Bar Stool makes it a breath of fresh air for any modern bar area. Clean lines, durable construction and an easy-to-clean exterior make it a welcome spot to linger over a drink or enjoy a quick meal. This chair features a steel frame for added stability and support. It�s fully upholstered in in regenerated leather, which adds a soft and smooth, yet sophisticated look. Meanwhile, a polished stainless steel footrest adds support and a touch of contemporary shine.